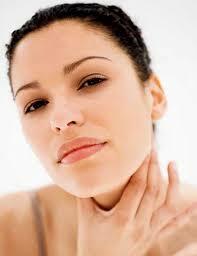 Thyroid malignancy is the most common endocrine malignancy. Thyroid cancer accounts for more than 90 per cent of all endocrine malignancies, but represents only about one per cent of all human cancers. Fine-needle aspiration (FNAC) has the highest sensitivity and specificity for identification of malignant thyroid nodules. Thyroid function tests are almost uniformly normal. Even though FNAC is highly sensitive and specific, follicular thyroid cancers can’t be diagnosed by FNAC. Treatment results for anaplastic carcinoma are discouraging. Despite the employment of various aggressive treatment strategies that consist of surgery, radiation therapy, chemotherapy, or combinations of the three, almost all patients with this disease die a cancer related death. The median survival of anaplastic thyroid cancer is two to six months, and only a few patients have survived for more than 12 months. Hence the goal of treatment is usually palliative.